Over the past years, the argument that school vaccine mandates violate human rights has been raised multiple times. The argument is ill founded, and if there is a human rights argument, it goes the other way. I would like to examine the key arguments, but adding that vaccine mandates actually promotes human rights by protecting children from vaccine preventable diseases. Vaccines save lives and prevent disease and suffering. In the United States, vaccines prevent tens of thousands of deaths and millions of cases of disease per cohort, and prevent hundreds of thousands of deaths and tens of millions of hospitalizations during a decade. Worldwide they are estimated to save 2-3 million lives per year, and would prevent more if more children had access to them. 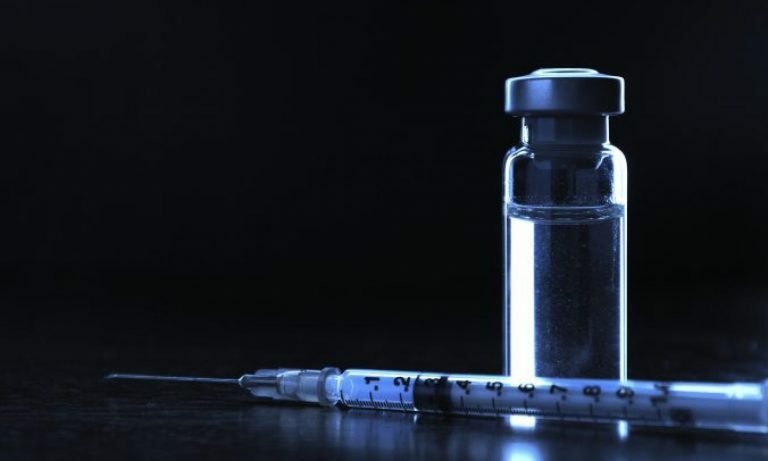 While nothing is without risks, serious harms from vaccines are very rare. For example, severe allergic reactions stand at about one per million. For each vaccine we provide, the risks of the vaccine are an order of magnitude smaller than the risks of the disease (pdf). In other words, choosing not to vaccinate a child is choosing to leave the child at greater risk over smaller. There is no human right to leave a child at preventable, unnecessary risk. Children in the United States are not in as immediate a risk. But vaccines protect them, as well, with little risk. If a human right can be drawn from international law in this context, it’s the right of the child to be vaccinated, a right that school immunization requirements support and promote, not the other way around. Unvaccinated children are at higher risk of contracting preventable diseases – and since most of these are transmissible, they are at higher risk of infecting others. When there are high numbers of unvaccinated people in a community, the risk of outbreaks increases (pdf). Schools and daycare are areas of close contact, where the risks of children transmitting diseases to others are high. The presence of high numbers of unvaccinated children in schools creates a real risk of an outbreak of a preventable disease. While children deserve an education, parents are not entitled to send their children to school in a condition that poses preventable, unnecessary risk to others. Again, the human rights affected are not those of the parents who want to send their child to school without the protection of vaccines. It’s the right of the vaccine-deprived child herself to health, and the right of her classmates to health, that are the human rights affected. Those rights are protected when school immunization mandates reduce the chances of outbreaks. Arguably, it’s a state’s duty to act to protect those. But vaccines are not experimental treatments. Before getting on the market vaccines undergo thorough safety testing, and safety monitoring and studies continue after approval, too. In other words, the Nuremberg Code is inapplicable. To be fair, opponents also draw on other sources of international law protecting informed consent. And informed consent is important. But first, school mandates do not violate informed consent. 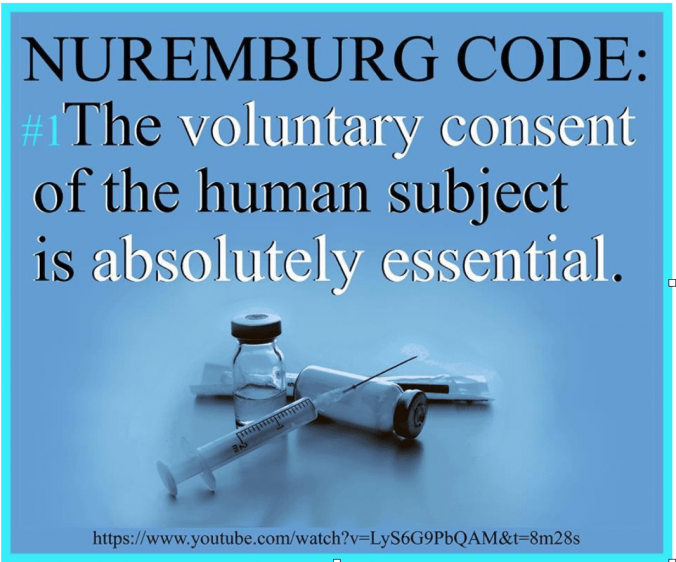 A parent still has to consent to a vaccine under school immunization mandates – the doctor cannot vaccinate without consent, absent a court order. But if a parent chooses not to, the mandate limits the ability of the parent to risk other children, by limiting access to school. In other words, unlike a criminal law directly requiring vaccines – which is another possibility legislatures could use – school mandates preserve consent but impose consequences that limit the harm from a bad decision. Further, the language of informed consent is used here to justify putting a child at greater risk than needed, arguably to undermine a child’s right to health. The child is not consenting to be left at risk of disease, in fact, is not competent to make that decision. As important as informed consent is, protecting the parent’s choice – and that’s what this is – at the cost of a child’s health is jarring. In this situation, it’s the child’s human right that needs to govern. It’s one thing to protect informed consent of an adult in sound mind, even if it means that adult’s death. It’s another to protect informed consent of a misguided parent at the cost of their child’s health, maybe life, and that of other children. That’s not protecting human rights. That’s dismissing the most important of them. School immunization mandates protect children by promoting vaccines and preventing diseases that can help them. They do not violate human rights. They promote them.